Irish ecotherapist Shirley Gleeson thinks a walk in the park is all we need to sooth the mind. Gleeson is an advocate of forest therapy, an ancient Japanese notion that aims to use nature as a vehicle for mental nurture. Ecotherapists write their patients what Gleeson calls a “green prescription”. The prescription requires a trip to the forest where patients can bury their stress and return vivacious and carefree until the hectic city and town life demands another visit. Before she became familiar with forest therapy, Gleeson was a busy mental health social worker trying to cope with psychological strains that her job was imposing on her. “I spent 17 years in social work which was always about suffering and trauma and [the] stresses of people’s lives, and I would go to the forest to cope with that,” Gleeson recalls. The seasoned social worker says she had always wondered why social work tended to neglect the therapeutic impact of nature. Shinrinyoku is the Japanese name of the practice which translates roughly to forest bathing. It blends a walk in the forest with mindfulness. The practice asks participants to listen to the forest’s soothing noises, such as the sounds of birds, and study the patterns of trees and leaves in an attempt to blueprint Mother Nature’s impossibly calm aura. Gleeson finished her training course and returned home, determined to form a similar group in Ireland. 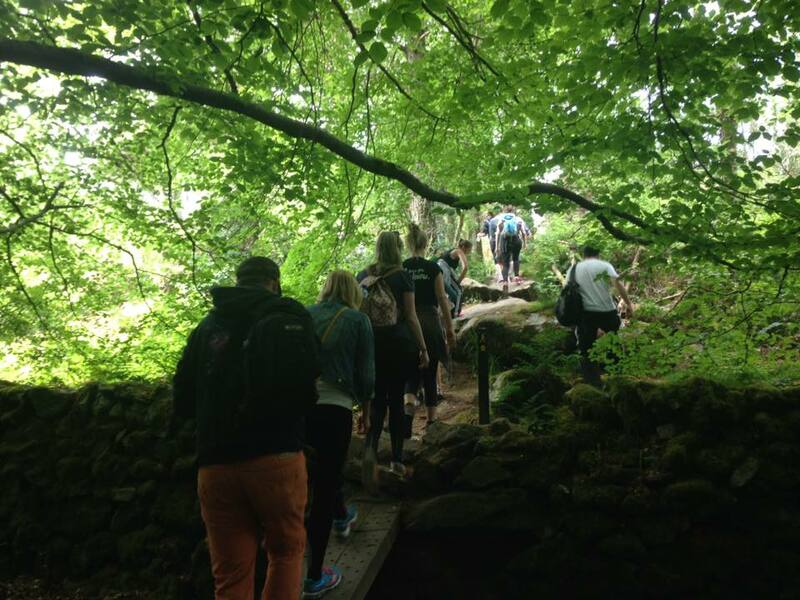 With the help of fellow forest enthusiasts – research psychologist Donal O’Keeffe and Diarmuid McAree, the Director of the charity Crann and former Chief Forestry Inspector of the Irish Forest Service – she created Nature, Health and Wellbeing Ireland to arrange therapeutic trips to green spaces based on the Shinrinyoku principles. Since the onset of industrialisation Romantics have prescribed nature as an antidote for the woes of Capitalism. In 1984, biologist Edward O. Wilson wrote a book called Biophilia which introduces a scientific hypothesis for the said romantic notion. 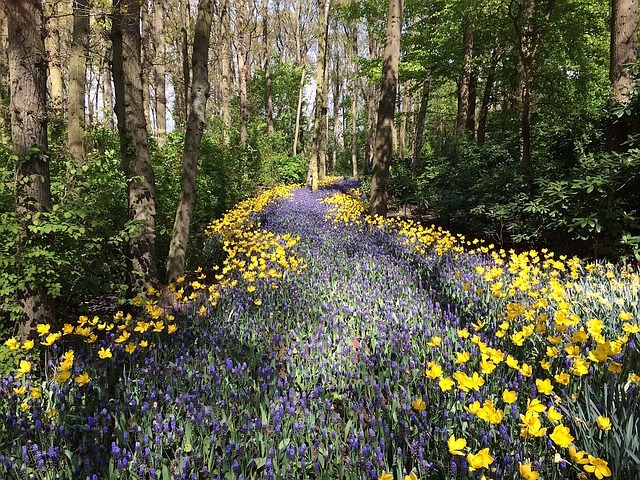 The Biophilia Hypothesis, argues that humans are scientifically predisposed to appreciate nature, thus nothing should bring them more joy than spending time among nature. Generations later, scientists are still researching Wilson’s hypothesis, and they’re getting results. Today, a growing body of research shows that city-dwellers with little or no access to green spaces are more at risk of developing psychological issues than those who live near parks. Researchers have also found that people who spent as little as 15 minutes walking in nature can have a lower level of cortisol, the stress hormone. Test subjects who spent 45 minutes in the forest every day showed improvements in cognitive performance. Another research project revealed that spending time in nature reduces stress caused by income and racial disparity. Some researchers suggest that the scent of evergreen forests is sedative, making us feel instantly better and that birdsongs elate the spirits. They have also said that as many of nature’s patterns are fractal (exhibit a repeating pattern) and the human eye moves in a fractal fashion, this symmetry creates alpha waves in our brains leading to a relaxed state. Gleeson thinks a lack of awareness about alternative therapies could be a reason why people tend to invest so much in anti-depressants. “I think public awareness is not there yet, but it is critical to raise awareness. 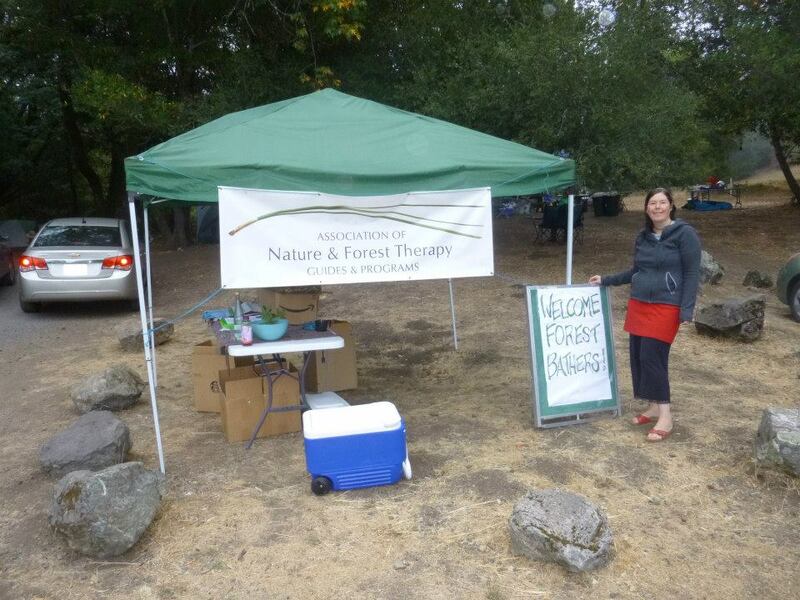 We call forest therapy an adjunctive treatment to medicine-based mental health treatments that are out there,” she says. As therapeutic as forests may be, the industries that currently rely on trees, such as the energy and construction sectors, do not intend to keep the trees in place. Deforestation can create ecological imbalances, destroy forest animals’ habitats and reduce biodiversity in nature. Forests cover 30 per cent of the earth’s surface. It is estimated that a hundred years from now, there won’t be any rainforests left on earth. Ireland’s latest forestry report points out that forest land cover is at its highest level in over 350 years at 10.5 per cent, yet, this is still well below our EU neighbours who average 33.5 per cent.